If you’ve taken your time and you have stood near an air conditioning unit, you might have seen that there is water below it. You might even have had to drain it away after there has been a leak. This is the right thing to do – water can lead to mold and mildew and different bacterial formations. With this in mind, haven’t you wondered where is this water coming from? This is one of the first and foremost things you’d have to account for. Let’s have a look. The higher temperatures throughout the hot months enhance higher humidity levels. This means that there is more water in the air.The reasons may vary but the fact that your AC is making the air pleasant is by taking the moisture out to a certain point. This is why humidity levels are reduced inside your home. 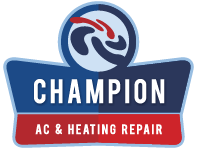 Your AC is going to cool down the air through a process referred to as refrigeration. Inside the air conditioner, you will find sets of two coils and condenser is connected to both the sets of coils. One of those coils is hot – while the other coil is cold. There are chemicals located within the coils. They condense and evaporate multiple times in order to cool down the coils. That is going to cool the air which is blowing over those coils. The cool coils are also going to force the humidity down. A part of water which is being condensed is going to re-evaporate. This is a process which will assist in keeping the coils cold. The remaining of it is going to run back out of an air conditioner. So, with this in mind, seeing your AC producing water is actually a good sign. If it’s not – it means that there is some sort of an issue. When the AC is leaking, however, this is usually a sign of a problem. It means that the conditioner is obviously not working as well as it is supposed to. What to do in situations of the kind? Well, the best thing that you can do is to go ahead and have someone come to your place to inspect the entire unit. This is going to ensure that everything is handled properly. Failing to do so and going DIY might actually cause more issues than it solves. This is something that you should take into consideration. With all this in mind, it is also important to ensure that your AC is working in perfect condition. This is going to guarantee that there are no additional and unnecessary expenses. Talk with your HVAC contractor in Aurora, so that they can help you get the right service. Steps To Take If A Rodent Died In HVAC Ductwork Why Is Freon Used In AC Units?